"Call that a beard? THIS is a beard!" 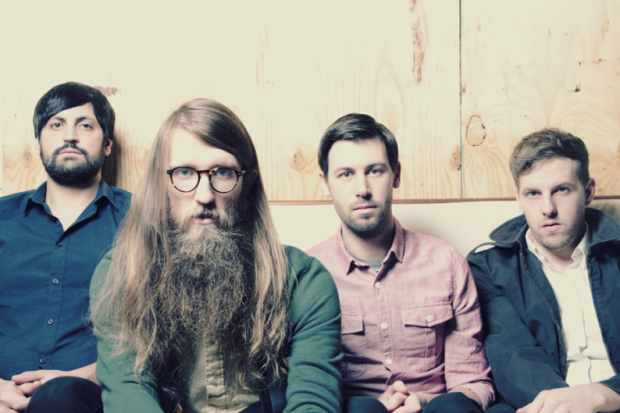 Chicago quartet Maps & Atlases have shaken off their math rock background, but not their evident love of ampersands and biblical beards (see right), for their sophomore record ‘Beware & Be Grateful’. Released in the UK next week (April 16th) via One Little Indian, this album comprises ten tracks of delightfully creative indie pop, with echoes of Vampire Weekend and subtle nods towards 80s artists such as Peter Gabriel. The extravagant flourishes and technical guitar-work in the vein of This Town Needs Guns are still very much in evidence, particularly with the two-minute guitar solo on the album’s slow-building centrepiece ‘Silver Self’. However these technical aspects are no longer the focus, allowing the melodies to come to the fore instead. ‘Important’ is a strange choice of opening track, but this slow-burner sets the tone for the more sombre and reflective moments that punctuate this record. Next up, ‘Be Three Years Old’ picks up the pace with a vibrant plea for immaturity, and this track works as a strong blueprint for the more upbeat moments of the album. Playful samples and calypso vibes abound throughout, and it sounds like the band have even sampled the coin grabbing sound from Super Mario Land on ‘Bugs’. The main thing that will divide opinion amongst new listeners is lead singer Dave Davison’s esoteric vocal style, which is flamboyant, affected and immediately recognisable – like a higher-pitched Morrissey with an American accent. It all comes together quite nicely on the closing double header of ‘Fever’ and ‘Old & Gray’, where Davison really gets to show off his full range in an uplifting and optimistic crescendo. Overall, ‘Beware & Be Grateful’ is a very catchy, upbeat record to get you in the mood for the summer and one that should play particularly well during the upcoming festival season.